if i told you there was a mountain that was 105km long and that the last 8km averaged 17.5% would you believe me? unless you’ve heard of the Taiwan KOM Challenge, probably not. but yes, such a beast exists. this Saturday, the 15th of November, a bunch of hardy, wonderful and essentially mad souls are gonna race up the monster that is Mt. Wuling in central Taiwan. i’ve raced it twice and trained up it against my will one other time and let me tell you, this is open heart surgery without anaesthetic. from just about ground zero to 3,275 meters, this is, and i say this without hesitation, the hardest mountain climb in the world. the last km averages over 20%. when i last raced it in 2012, a guy came up to me after and said “oh i almost caught you, i was only 500m behind.” i looked at the time and he was 4 minutes plus behind. that is jut about how long the last 500m takes. 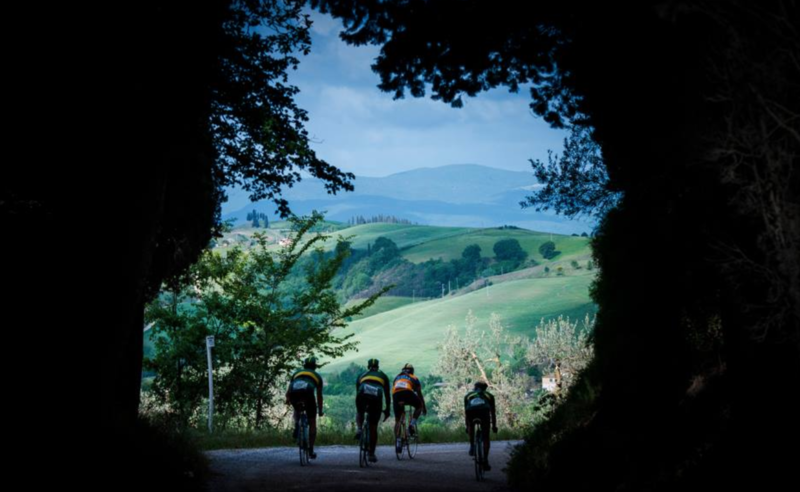 i keep banging on about this race because i am the Director of International Communications of it and also the official coach, but also because as a cyclist, i know that this achingly beautiful and painful mountain really should be ridden once – just once – by anyone who has ever slapped arse lube into their shorts. today was the official press conference of an event that has a total prize pot of over $100,000US and a first prize for the hombres of $38,000US. we also have dope testing and an official policy that bars any rider who has served a suspension for doping at any time in his or her past. you’ll hear a lot more about this race because it will become the Unofficial World Hill Climb Championship in time, attracting the world’s very best climbers. today was the official press conference, featuring the invited riders and journalists, including the 2014 Tour of California KOM and Stage 4 winner Will Routley, Specialized-lululemon’s Tiffany Cromwell and, as a journalist, former World, Olympic, women’s Tour de France and Giro winner Nicole Cooke. enjoy the photos, more to come as the week goes on. 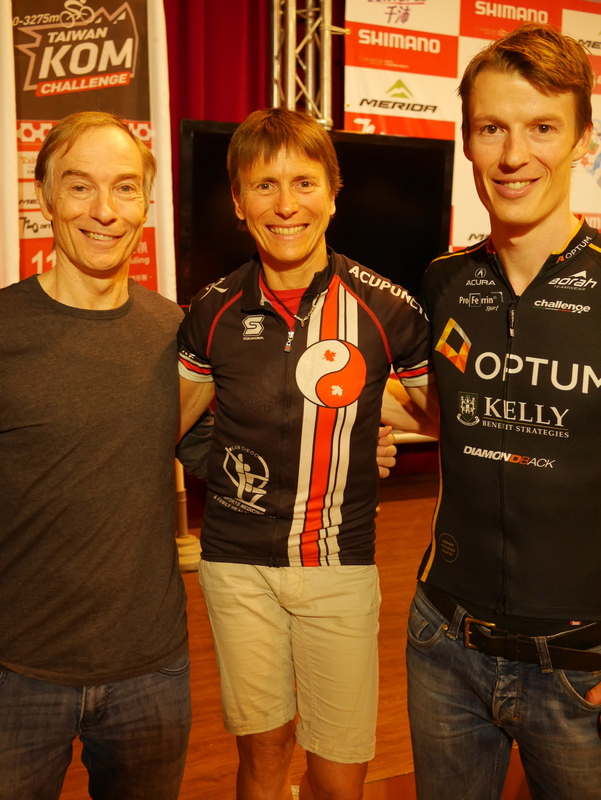 Tony Routley and his son with Marg Fedyna, also of Canada, winner of the 2014 and 2013 Haute Route Pyrenees. Nice to see Merida putting up even more money to get Asian riders in the world tour. Now, if Merida would just banish Sinyard the industry will be better off all over the world. It may one day be to climbers what the Paris-Roubaix is to the big men. Sadly, it is only a three and a half hour effort for the best climbers. It would be great if this climb were the final of three Taiwan hill climbs in a series. Northern Cross, Tatajia, and Wuling.